Prime Minister Theresa May addresses business leaders on Brexit. The Prime Minister spoke with over 130 business leaders today on the progress in Brexit negotiations, following the European Council this week. First, she recognised the importance of these discussions for businesses, their supply chains and clients. She outlined that the Government’s proposed future relationship with the EU would preserve the UK’s and EU’s frictionless access to each other’s markets for goods, protecting jobs and livelihoods on both sides. Second, the Prime Minister spoke about the Northern Irish backstop, which is intended to guarantee that - in the unlikely event that there is a delay in bringing into effect our future relationship by the end of the implementation period at the end of December 2020 - there is no return to a hard border between Northern Ireland and Ireland. If required, this would therefore only be necessary for a temporary period to act as a bridge to the future relationship. 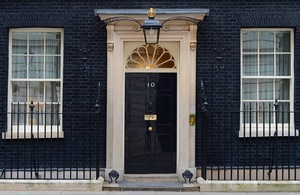 A number of businesses thanked the Prime Minister for the opportunity to speak with her directly on the Brexit negotiations.